To Prevent, Arrest and Reverse Degradation of Life Support Systems, particularly land and water so as to expand livelihood opportunities in a Sustainable and Equitable manner through People’s Participation. (Presently Jharkhand, Bihar, West Bengal and Orissa) : Soil, Moisture Conservation and Bio-mass i.e. Land, water and forests including plantation of sabai grass along with renovation of traditional water harvesting structures and formation of forest produce user’s group. (Presently the state covered is Gujrat, Maharashtra and Rajasthan) : The work in western region is focused on Pasture Land Development, evolving an institutional mechanism to deal with natural resource management. It also include water harvesting structures, compost, fruit promotion and policy advocacy on forest related issues. (The state covered is Uttaranchal) SPWD gives emphasis on strengthening of the weak linkages of the farming system through social and technical interventions. The focus is also on homestead land development. (Andhra Pradesh, some parts of Tamil Nadu and Kamataka) : The emphasis in the Rayalaseema region is on “tank management” In the Eastern Ghats the focus is on forest protection and management. A new concept of forest management through C.F.M. (Community Forest Management) has been undertaken. (Madhya Pradesh at present and in future may be Chhatisgarh also) : The work in the central region is focused on treatment of lands of small and marginal farmers, water harvesting, development of common lands and waste lands to provide livelihood support to farmers. The focus is also on Medical herbs Plantation on wasteland and Ravine Land Reclamation. SPWD provides Grant-in-aid and technological supports to NGOs including training. 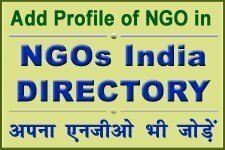 The NGO must be registered under society, trust or co-operative. There is no barrier of so many years of registration. But it must have a good track record and have grass root working experience. (The office at Dehradoon and Hyderabad are being closed and its programs will be looked from Delhi H.Q.) It is suggested that first to send a concept paper. SPWD generally works together with the partner agency, go in the field with them and develop MOU after conceiving the problem of the area. 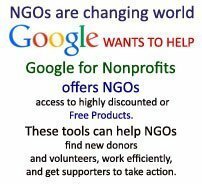 Then it starts giving any support to NGOs.